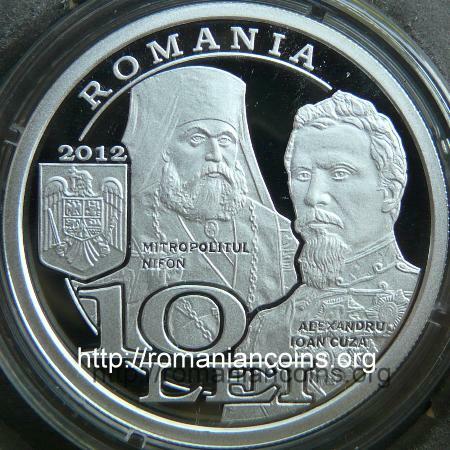 Nifon Rusailă (1789 - 1875) was born at Bucharest, to a Aromanian family. He became a monk at the age of 20, at the Monastery of Cernica. He stepwise assumed higher and higher positions in the church hierarchy of Walachia. 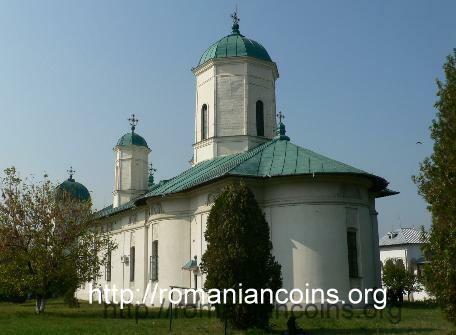 For instance, in 1839 he was abbot at Monastery of Cozia. 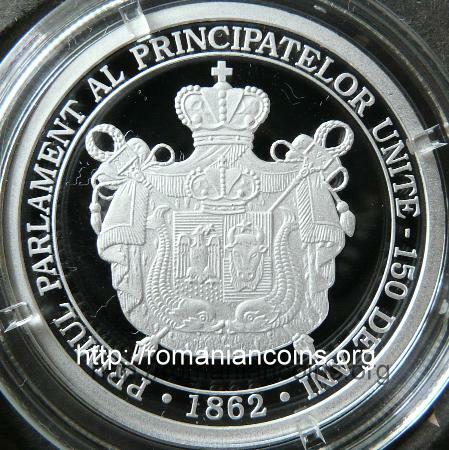 He got elected metropolitan in 1850, and since 1865 he received the title of primate metropolitan of Romania. According to the laws of the time, as metropolitan of the country he was also president of the Ad-hoc Divan of Walachia (in 1857) and of the Elective Assembly of 1859, As well of the first joint Assembly of the United Principalities. On January 24th 1862 - 3 years after the election of Cuza as prince of Walachia - the opening of the joint Chambers (unified parliament) took place, through the common session of the Assemblies from Moldavia and Walachia. This was the session when Bucharest was proclaimed capital city. Barbu was born in Bucharest, as son of great vornic (overseer) Ştefan Catargiu. He studied at the Greek school from Schitu Măgureanu, then at Paris. Returned in the country, he occupied various administration and political positions. 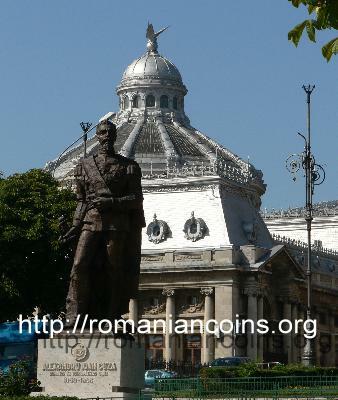 He did not participate to the Revolution of 1848, but he was a supporter of the Union of the Romanian Principalities. In the first years of Cuza's reign, Barbu Catargiu was the most important representative of the conservative movement, that had the majority in the chambers of both principalities. 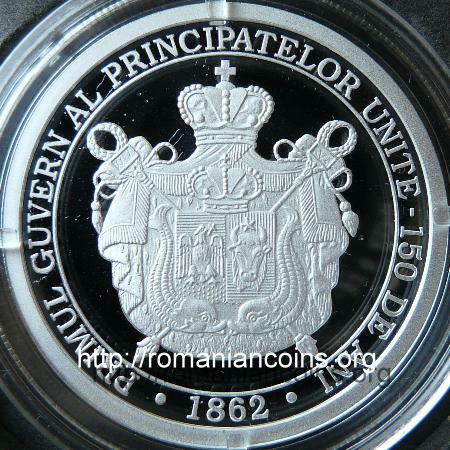 On January 22nd 1862 the unique government of the United Principalities - Romania - took place (up until then separate governments existed in Moldavia and Walachia). President of the Council of Ministers was appointed Barbu Catargiu. The position was equivalent to the one of prime minister. 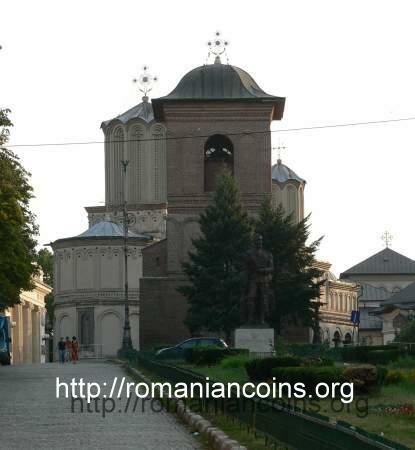 The Catargiu government acted for the adminstrative and political unification of the country. On January 26th the ministeries from the former Principality of Moldavia were disbanded, being temporarily replaced by "directorates" . 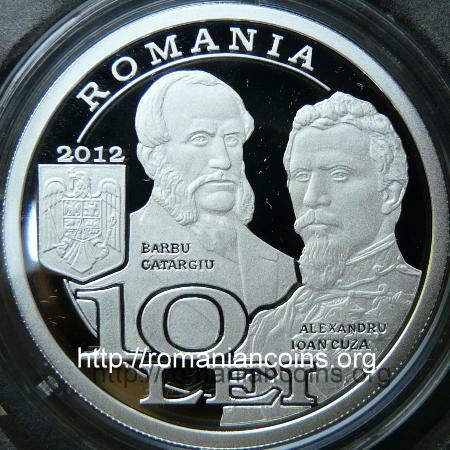 On the 8th/20th of June 1862 Barbu Catargiu was assassinated next to the belfry of the Metropolitan Church, as he was leaving from a session of the Assembly (the parliament had its seat in the palace on the Metropolitan Hill). In that particular period the conservatives were trying to pass a rural law that would favour the great landowners (a few thousands in the entire country), detrimentally to the peasants. In order to uphold the land reform, the radical liberals had summoned on June 11th a people's assembly. Catargiu had answered to a parliamentary interpellation referring to that assembly, which the government forbade. The assassin of Catargiu fled and was never caught, although he had left the murder weapon at the murder site. Never was it established if revenge or politics was the reason, but at the time the public opinion inclined to the hypothesis of a political murder . 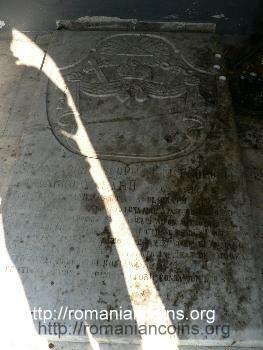 At the (heraldic) right side lies a cross bearing eagle, at left a wisent head (urus) with five ray star between horns. The eagle does not bear either crown or power ensigns - sword and scepter - in talons. The shield has fields 1 and 4 blue, 2 red and 3 golden, and a closed crown above. As supporters there are two affronted dolphins and to Roman legionary standards, inscribed with Roman numbers V and XXIV, dates of the double election of Cuza as prince in Moldavia and Walachia. The shield is placed under an ermine mantle, with frills and tassels, and closed crown above. None of the several embodiments for coat of arms during Cuza's reign was officialy adopted. Various decres given by Cuza in 1861, 1862, 1863 to establish the coat of arms were incomplete, lacking exact rules for representation of tinctures and charges, therefore several parallelly used variants existed. 1. 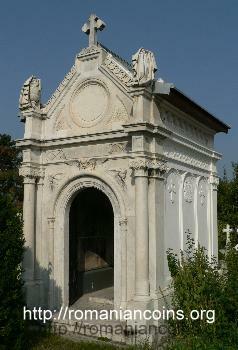 Dogaru Maria, Heraldica României. Editura JIF, Bucureşti, 1994. 2. Giurescu C., Viaţa şi opera lui Cuza vodă. Editura Ştiinţifică, Bucureşti, 1966.